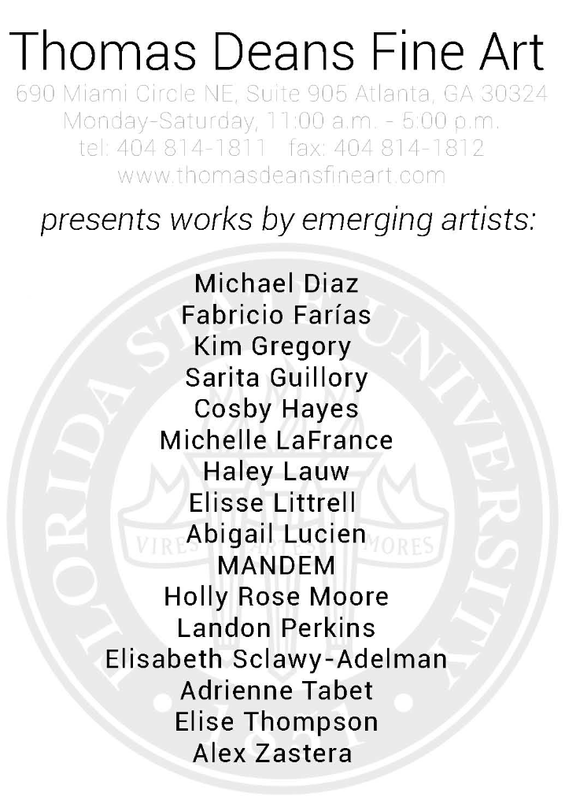 Florida State University College of Visual Arts, Theatre and Dance (CFA) in coordination with Thomas Deans Fine Art presents works by emerging artists from the FSU Department of Art. 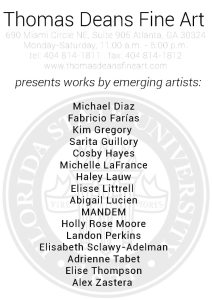 Thomas Deans serves on the FSU CFA Dean’s Advisory Board. 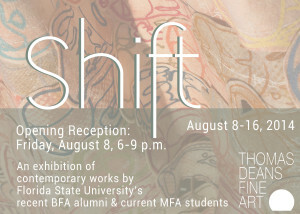 This spring he visited the Department of Art and met with the graduating BFA students and with students in Anne’s Stagg’s MFA Seminar class. 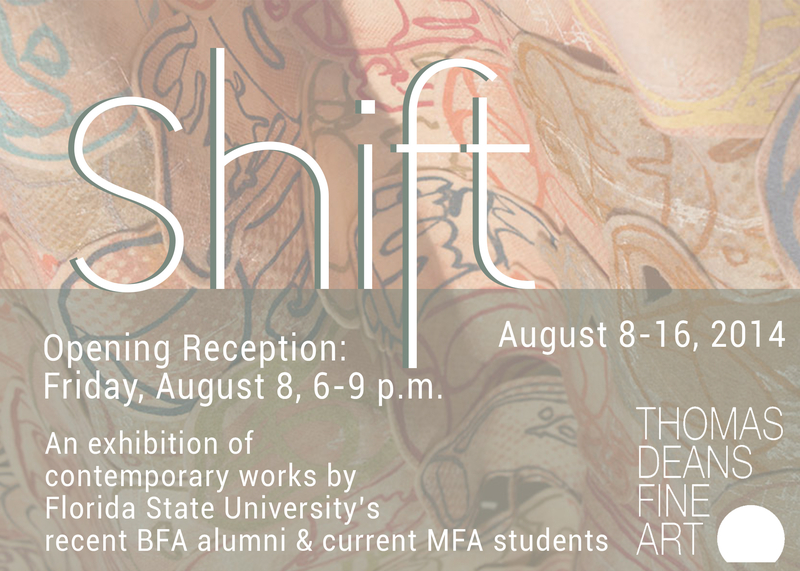 Thomas generously invited the students he met with and the Fall ’13 BFA graduates to participate in this exhibition.